For over 20 years Kimmie, our master esthetician, has been providing her customers with the ultimate in waxing, skin care and the very best in facials, nail care and eyelashes. From head to toe, Kimmie and her staff continue to provide the ultimate relaxing and soothing salon experience. Whether it’s a targeted botox treatment or the full Brazilian wax, you’ve come to the right place. Come in and see for yourself why customers come back time after time. Excellent Esthetics was founded by Kimmie in 2005 on Main Street West in Hamilton, Ontario. Welcome to the ultimate in skin care and rejuvenation. Exfoliation involves the removal of dead skin from various parts of the body. Microdermabrasion takes care of this by incorporating cutting edge abrasion technology for skin resurfacing. To find out more about this amazing procedure. The BRAZILIAN! You’ve heard about it. You may even know people who have gone this route. How about you? You owe it to yourself to explore the ultimate in waxing treatment. Kimmie and the staff at Excellent Esthetics are experts in applying the Brazilian. For the ultimate in waxing. Welcome to Excellent Esthetics Day Spa and Skin Care. When it comes to the full spa treatment including hair removal by waxing, facials and mani/pedi’s, Excellent Esthetics Spa right here in Hamilton Ontario is your one-stop shop for the very best in exquisite pampering and a quality experience. NEW! Stress Relief treatments to help you cope with everyday life. Always the choice for facials, we offer everything from a basic facial to an oxygen facial to microdermabrasion to anti-aging skin care to botox treatments ( Dysport®, Botox®, Xeomin® ) and cosmetic fillers ( effective, safe & long lasting Teosyal® and Juvederm® ). Do you need a professional makeup application or makeup with eyelashes? You’ve come to the right place. How about a lunchtime microcurrent face lift or microcurrent face sculpting, we do all that and Emervel lip enhancement too. Are you a teen with special facial needs? The teen acne treatment facial is specially designed just for you. We can even incorporate Korean or Dead Sea mud masks and full body mud treatments. Spoil yourself with our signature oxy-micro facial. New: Now available Ultra Light eyelash extensions clusters or Individual hairs placed one by one for long, full, flattering eyelashes. Expert skin care in Hamilton is now better than ever. 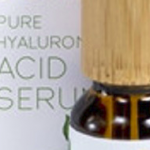 Excellent Esthetics offers skin care and facials right here in Hamilton using the all natural, world renowned Vagheggi Phytocosmetici products made in Italy. 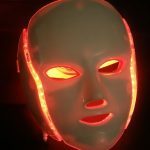 Vagheggi has a rich 40 plus years of experience in providing spas like Excellent Esthetics with the finest in professional and personal use skin care products. At Excellent Esthetics, you will look and feel your very best. Is hair removal your current priority? Excellent Esthetics will take care of it all including the face, arms, front, back, waist & below and, of course, the legs. We offer everything from special location waxing of the eyebrow, chin, upper lip, arms & underarms, legs, back, feet and chest to more comprehensive waxing like bikini wax and Brazilian waxing. We offer both women’s Braxilian wax and men’s Brazilian wax. Not only do we do it right but we will do it with a minimum of pain and discomfort. Hey guys, don’t forget the expert manscaping (men’s waxing and strategic trimming) for that perfectly crafted you. Got a special occasion or vacation just around the corner? Maybe you just want to look your very best. How about a manicure and a pedicure? At Excellent Esthetics, we can sculpt your nails to perfection or even add nail extensions, acrylic or gel nails or a nail overlay. We also do paraffin manicures, polish applications, biosculpting and nail repairs. Need to stand out from the crowd? Come to us for nail art and shellac gel colouring. At Excellent Esthetics Spa, we will give you the royal treatment you so richly deserve. 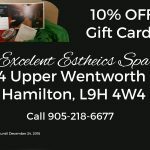 A Hamilton mountain waxing spa, manscaping salon and Day Spa, as well as an After Hours Waxing available near McMaster University in Westdale or at the SPA. Open when the rest are closed. Note: McMaster & Mohawk College Students, we pay the tax, just show your student PhotoID. Serving Ancaster, Brantford, Binbrook, Burlington, Hamilton, Stoney Creek, Waterdown and surrounding area. Our Cancellation Policy can be read here.